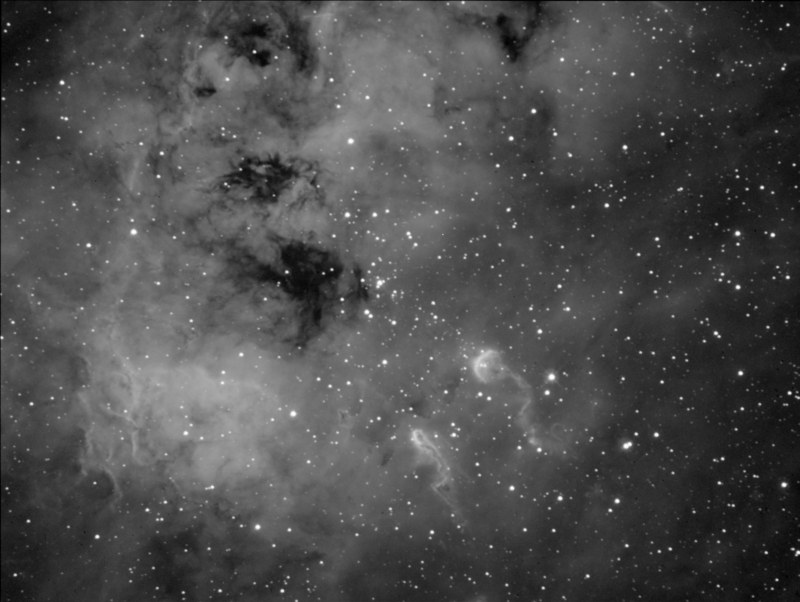 2x2 binning, 16 x 10 minute exposures with a QSI583wsg CCD and Astronomik 7nm H-Alphafilter, on December 13, 2012 from Beilen, the Netherlands. Full frame image, 20 x 3 min at 800 ISO, January 22, 2007 In Beilen, the Netherlands. 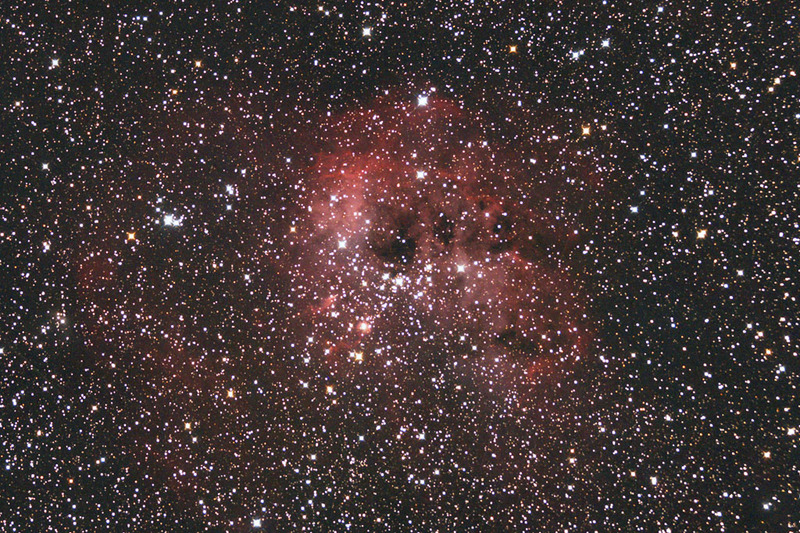 The cluster is called NGC1893, the nebula IC410. 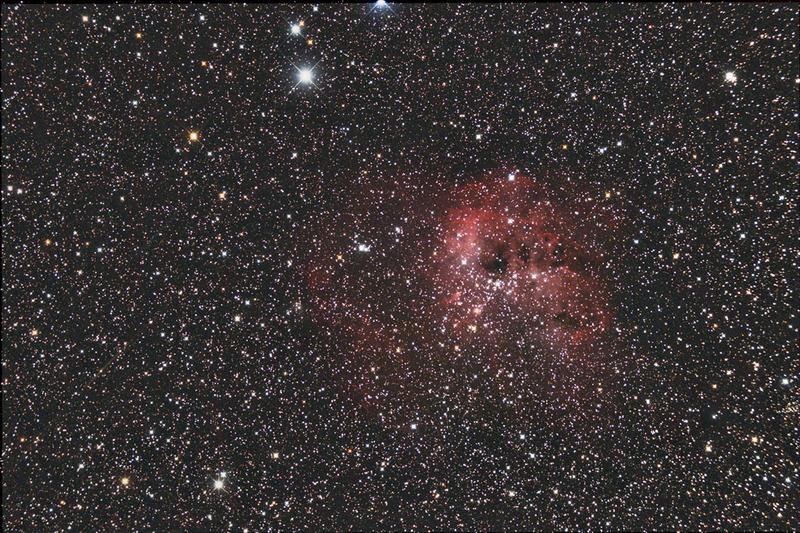 This image was made with a modified Canon 350D, through a 20-cm (8") f/2.75 ASA Astrograph.